A great edition of a timeless classic. The translation is clear and the introduction is informative. A great read, for philosophers and non-­philosophers alike. This Roman Stoic hands down the day-­to-­day principles on which an all-­powerful Emperor ruled for the welfare of the people. how to employ these concepts in our daily lives. This book gives us answers to the most important questions. Who are we? Why are we hear? What is the purpose of our lives? How can we manifest our purpose? Prerequisites to a meaningful life. "We must become aware of the knowledge of self and the time in which we are living. You must know these things whether you agree that Elijah Muhammad is on time or out of time. If what I say is out of season, it goes for nothing. If I am on time or in season, then all I say will bear fruit.­" ~ The Most Honorable Elijah Muhammad, Last Messenger of Allah -­to you all. It has been revealed by the Honorable Elijah Muhammad, Last Messenger of Allah, that the histories of the Holy Qur'an and Bible are used to teach us, Black people, the true knowledge of our history. The truths in each of these books have, in most cases, been hidden from the eyes and ears of most; consequently, a lack of knowledge has been prevalent among our people and as the scriptures themselves bear witness: "My people are destroyed for the lack of knowledge.­" The following passage is lifted from Edwin R. Embree's book, "Brown American,­" printed in 1946, page 54, which Messenger Elijah Muhammad cited in his book, . . .
Rather than being a listing of actual theories or experimental observations on the science of physics, Aristotle's Physics is more an exposition on the theory, methodology and philosophy of science. Central to the theme of the book is Aristotle's argument that the scientist must ready him or herself for a world in motion and change that is inevitable. 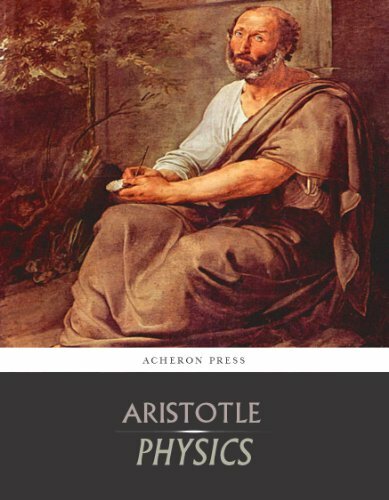 Of interest to anyone engaged in the sciences, Aristotle's Physics is an interesting discussion on physics and the philosophy of science in general from the perspective of classical antiquity. 'We are looking for the things that enable us to live a noble and happy life...­and what prospects decent people will have of acquiring any of them.­' The Eudemian Ethics is a major treatise on moral philosophy whose central concern is what makes life worth living. Aristotle considers the role of happiness, and what happiness consists of, and he analyses various factors that contribute to it: human agency, the relation between action and virtue, and the concept of virtue itself. Moral and intellectual virtues are classified and considered, and finally the roles of friendship and pleasure. It deals with the same issues as the better-­known Nicomachean Ethics, with which it holds three books in common, and its special qualities, as well as the similarities and differences between the two works, are of fundamental concern to anyone interested in Aristotle's philosophy. This is the first time the Eudemian Ethics has been published in its entirety in any modern language. Anthony Kenny's . . .
'Universe:­An Equation' is a philosophical article in which I tried to treat the concept of 'Justice' by the help of scientific explanations.